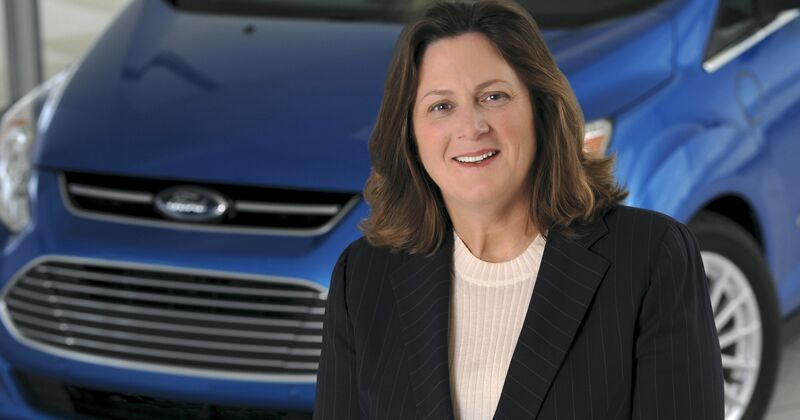 Henry Ford’s great-great-granddaughter is now the highest ranking female family member in the Ford company. While this is great news for women working to bust the gender gap in male-dominated industries, it’s even better news for Ford – because Elena Ford is just what the company needed. In her role as Chief Customer Experience Officer, Elena is responsible for creating an amazing customer experience for Ford customers. She is focused on them from start to finish, ensuring that they not only have a great experience buying a Ford but also owning their new vehicle. With 10,000 Ford dealerships and hundreds of thousands of employees at these dealerships and within the Ford company, Elena has her work cut out for her. But she is determined to create the ultimate customer experience for Ford customers. To create the ultimate customer experience, Elena says that the entire company has to be on board. Sales and marketing are important, but so is information technology, product development, and human resources. The company must be digital, physical, and personal. The vehicles themselves are a big part of the customer experience, of course. And with Ford’s latest innovations and technology, they have the product part down. However, even the best-designed cars can get lost if they don’t connect with the customers. Elena wants customers to experience a real connection with the vehicle, the brand, and the dealership they purchase it at. She recognizes that what car customers want most is to feel in control of their purchase. Elena believes that the key to building a great customer experience in the near future for Ford is the diversity of people and ideas. While many industries have finally caught on to the benefits of this, in general, the auto industry lags behind. According to research from Catalyst, a global non-profit focused on women in the workplace, over half of the top 20 companies in the automotive industry have zero women on their executive teams. While 56% of the C-suite leaders in the industry recognize women as an underutilized, yet critical pool of talent, they still have a ways to go in this area. But it’s not just about gender. The diversity of culture and ideas also generate innovative and progressive ideas such as Ford’s latest program, called FordPass. FordPass is a new app designed for owners of Ford vehicles. The company compares it to iTunes for car owners. However, you don’t have to own a Ford to use it. In fact, non-Ford owners can access the app as well. While some features, such as finding fuel stations and parking are useful to anyone, other perks such as SYNC connect are features designed specifically to enhance the experience of owning a Ford. SYNC connect allows you to use your mobile device to lock and unlock your car, start your car, and even check fluid levels. You can also use the new app to keep track of vehicle maintenance, get health alerts on your vehicle, pay for service, and even stay on top of vehicle financing. This is just one of the many ways Elena Ford is already making a huge impact in her role as Chief Customer Experience Officer at Ford. Not only is Elena Ford a direct descendant of Ford’s founder, but she is also the daughter of billionaire Greek shipping giant, Stavros Niarchos. Going into the Ford family business wasn’t something she had to do, but what she longed to do. While most women in the Ford family chose other paths, Elena knew the family business was right for her. “I think I have gasoline in my veins,” she said. Prior to joining Ford, Elena worked for Wells Rich Greene (WRG), a New York advertising agency. After gaining experience and starting a new business department at WRG, Elena headed to the Ford headquarters. What she is bringing to Ford in her new role is not a background in engineering, but rather in the human experience.